Good for you, I wish that I was a reader! Surprisingly I haven't read any of these! Now I have a list, thank you! I jut finished the Woman in Cabin 10, that was a decent read. I'm going to have to check out some of these books! 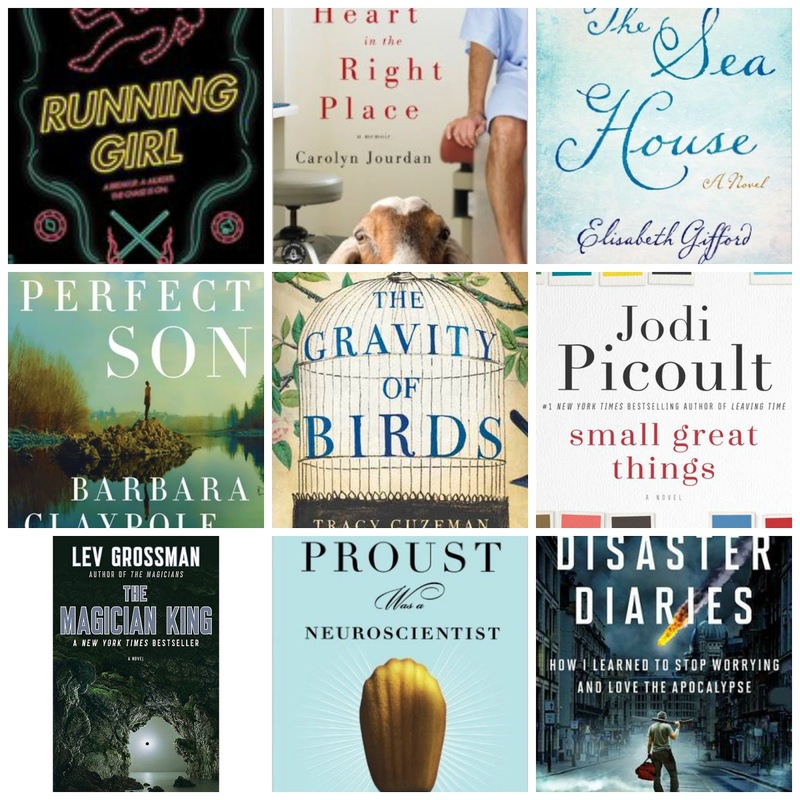 I don't think I have a favorite book from 2016, but many of the ones I read were quite entertaining. 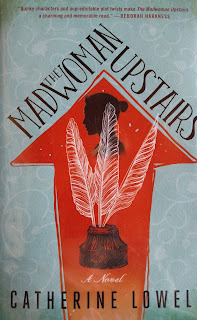 The Mad Woman Upstairs makes me think of Jane Eyre. The two that I want to read are "The Sea House" and "The Perfect son". But they all look so good! Here is my favorite book: "One Hundred Years of Solitude". It is a classic by Gabriel Garcia Marquez. I have read lots of his his books and they never fail. Thanks for this post! I just loved reading through your list! I think I will copy these down for future reference. When I was younger, for many years I read a book a day. My library got so huge that I had to get rid of many, but I still have lots. I divided them up into ones I have read and ones I haven't! It would be cool for you do do a book review every once in awhile. I still have The Magicians on my "to read" list. Wow, you were busy reading! I loved loved loved The War That Saved My Life, by Kimberly Brubaker Bradley; The Thing about Jellyfish, by Ali Benjamin; and Counting by 7s, by Holly Goldberg Sloan. They are all "middle grade novels," but enjoyable for adults too. I even asked for The War That Saved My Life for Christmas. I read it as a library book, but I wanted my own copy. It's that good. I am so impressed! I used to be able to read that many books in a year before I had kids. Now...not so much! One of my goals is to read more this year, so I will add a few of your favorites to my list! The Gravity of Birds looks like a great read to me. You read a lot. That's great! I find myself researching things and not actually reading for fun these days. You are setting a great example for your boys, they pick up on things like seeing you read. 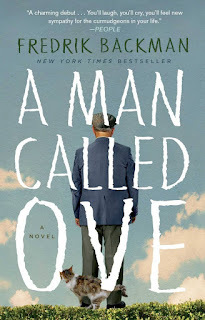 I haven't read much this year, but I did read "A Man called Ove" and loved it as well. I need to read more in 2017. Wow! You did a ton of reading in 2016! Loved hearing about your favorites. I have heard great things about Small Great Things and A Man Called Ove. I look forward to checking them both out in 2017. Wow I am impressed! I started off strong reading but lagged the past few months 😯 happy new year! That is amazing! I think I ended up around 85 books this year, but I didn't really count books that I read the kids besides the really long ones. I am definitely going to look up The Disaster Diaries - I love Apocalypse type books :-) And if this one has something to be learned in it, all the better! Wow-I am impressed, that is a lot of books. I was disappointed with how little reading (books) I did this last year. Thanks for sharing your list! Wooow...that's a lot of book indeed, Lisa. I read a lot as well this year but not that much. I had tons of UN documents to read, though LOL. Happy New Year..
Congrats on reading so many. Reading is def. one of my most favorite past times. I always enjoy other people's book lists. Fredrik Backman is my new favorite writer! ALL his books are fabulous. 203 books! WOW! I am impressed. I retired a few months ago so am hoping to read more this week. I have a couple of these on my kindle so good to hear they are good ones.